The influx of online job portals has enabled people to access what they need when looking for a career. It has become the most efficient way to search and apply for job openings. With the rapid pace of advancements in technology, it is easier to have access to computers and the Internet whether for personal use or professional growth. This is why BPO Career Hub (BCH) forms a partnership with the National ICT Confederation of the Philippines (NICP), with the mutual goal of making Filipinos more hireable and qualified by providing them with the right training and assessment tools to improve their skills as well as directing them to a job portal where they could find long-term employment in the fastest growing industries. The BCH and NICP partnership also intends to provide a fast, convenient, and accessible medium for students and graduates to find gainful employment in prestigious firms. The BCH solution will include online and nationwide registration of Scholarship Program Applicants, English Skills Proficiency Assessments (either telephone or computer-based) and reporting of applicants by NICP region to evaluate the employability and skill of their residents. BCH will serve as the place to go to register for program participation. Online assessments and graded questionnaires will be offered by BCH as well as the capability to monitor program and applicant performance. The Versant English Level Test will also be used to further determined their ability to be successful in completing the training program. In relation to this, BCH was in attendance at the 4th National ICT Summit in General Santos City from November 4 to November 6, 2011 alongside other ICT experts. This annual event was organized by NICP. This year, the summit sets an emphasis on “Championing Country-Wide Digital Development”. 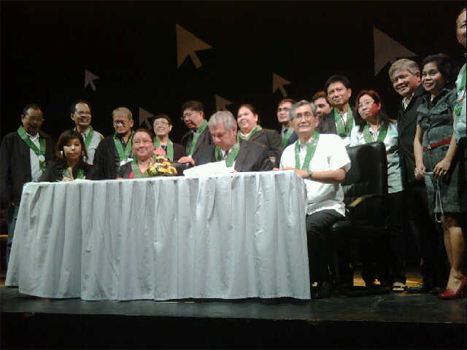 At the summit, the partnership was made official by NICP Chair Atty. 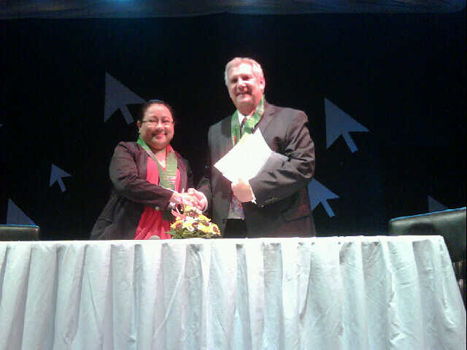 Jocelle Batapa-Sigue and BCH President Jon E. Kaplan. The National ICT Confederation of the Philippines (NICP) is an advocate for countrywide ICT industry development, which aims to promote foreign and local investments and a balanced development between Metro Manila and all the other cities and provinces in the country, to share information and best practices, to generate new ICT businesses especially for the countryside, to engage the stakeholders in the whole of Luzon, Visayas and Mindanao in the quest to generate jobs and investments and to transform the Philippines into a customer-oriented and competitive provider for global services. BPO Career Hub (BCH) is an online job portal offering job seekers the information they require in order to apply for a job in the Business Processing Outsourcing (BPO), Knowledge Process Outsourcing (KPO), Call Center industry and related fields. In addition to this, BCH offers online assessment and trainings tools for all its registrants. BCH also has an active participation in their social networking sites on Facebook, Twitter and blogs where they strongly promote interaction between the job seekers and BCH. BCH and the NICP registration page can be accessed anywhere there is web access (Internet cafes, home, school, NICP offices and TESDA offices). For more employment opportunities, visit www.bpocareerhub.com.